Audi has updated its full-size family, with new exterior and interior design updates, enhanced connectivity and entertainment, and a comprehensive equipment package for the Audi A6 allroad. 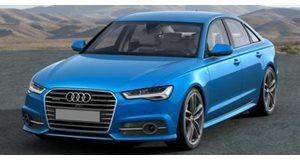 The Audi A6 and A6 Avant will feature restyled front aprons featuring high-gloss black struts in the grille, while the side sill and rear bumper receive sharper angles and a new diffuser freshens up the rear end nicely. 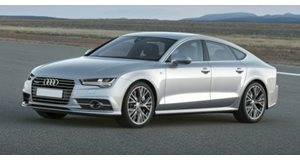 Adopting the S line package, the A6 comes with a new radiator grille finished in matt black and gloss chrome. Side air inlets receive chrome struts and in an unusual move, buyers who get the optional adaptive cruise control will be rewarded with chrome rings. Matador red and Gotland green are two new body colors for the Audi A6 and A7, and if you’ve always wanted the Java brown paint hitherto reserved for the Audi A6 allroad, you’re in luck as Audi has relaxed its strict stance on this exclusive hue, making it available on the A6, A6 Avant and A7 Sportback. 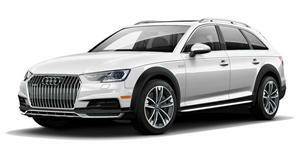 Buyers will also have a choice of two new wheel designs for the sedan and wagon, and three for the A7 Sportback. Audi has updated the interior with LED lighting for the cabin and boot, and offers new inlays in optional Aluminum Ellipse silver (bronze for the A6 allroad) and fine grain birch agate gray. Smartphone connectivity upgrades sees Apple Car Play and Android Auto now displayed on the MMI monitor, and a pair of detachable tablets provides rear seat entertainment. Audi is also introducing an optional Advance package for the A6 allroad, which includes a Soho Brown body color with gray highlights, 20-inch alloys and permanent AWD Quattro featuring a sport differential. The interior gets Valcona leather sport seats in Santos Brown. Starting prices remain unchanged for the 2017 MY with deliveries to begin in the summer.